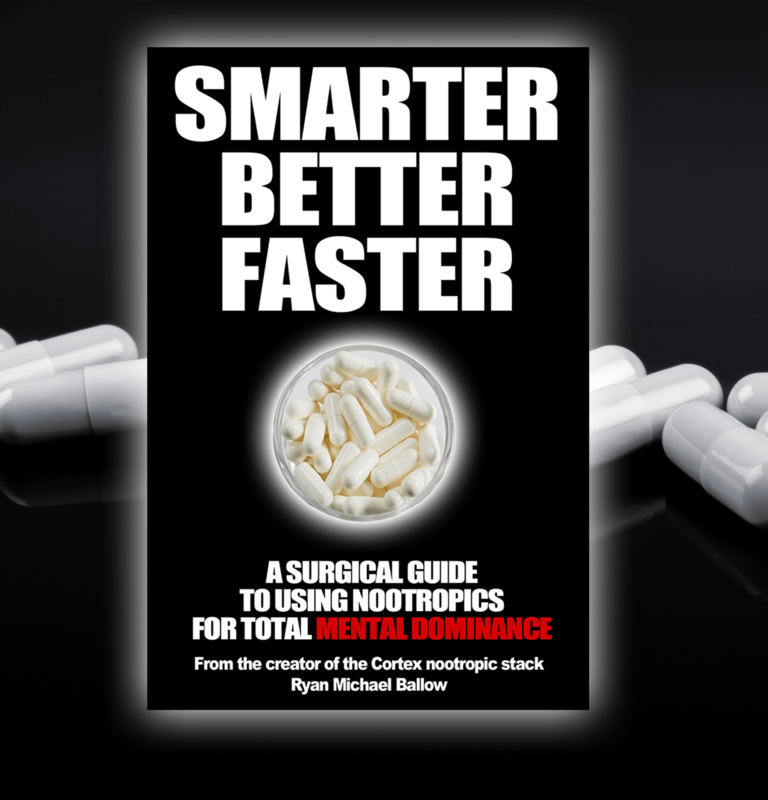 Smarter Better Faster is a nootropics instructional digital guide + a large quantity of highly effective nootropic stacks from Aniracetam, Oxiracetam, Phenylpiracetam, Noopept, ALCAR, Uridine, Alpha GPC, CDP Choline, Phenibut, L-Theanine, Theacrine, L-Tyrosine, and MANY MORE. Which nootropics to take for which situations. How to measure, capsule, and make your own nootropics. Choline sources, like Alpha GPC, CDP Choline, and Choline Bitartrate. How to use L-Tyrosine, Modafinil, Uridine, Aniracetam, Phenylpiracetam, Noopept, and most other popular nootropic compounds. This digital guide gives you access to dozens of powerful nootropic stacks that have been TESTED, and induce POWERFUL BRAIN STATES. You want to learn about nootropics. You want to learn how to take nootropics. You want to learn about racetams, and how to dose them. You want access to highly effective nootropic stacks to take. You want to learn how to cycle nootropics effectively. You want to learn how to take Modafinil. You want access to expert nootropic stacks. Select the version of Smarter Better Faster (iOS/Android/Kindle/PDF) you want to download. Once downloaded, open iOS/Android files with an iPhone, iPad, Android phone, or Android tablet, and Kindle version with any Kindle App or device, and then the PDF version with any Macbook, PC, or mobile device. Add the Smarter Better Faster guide to your cart. Within 5 minutes, our system will email you your files, to start reading about the nootropic stack protocols, and instructions.